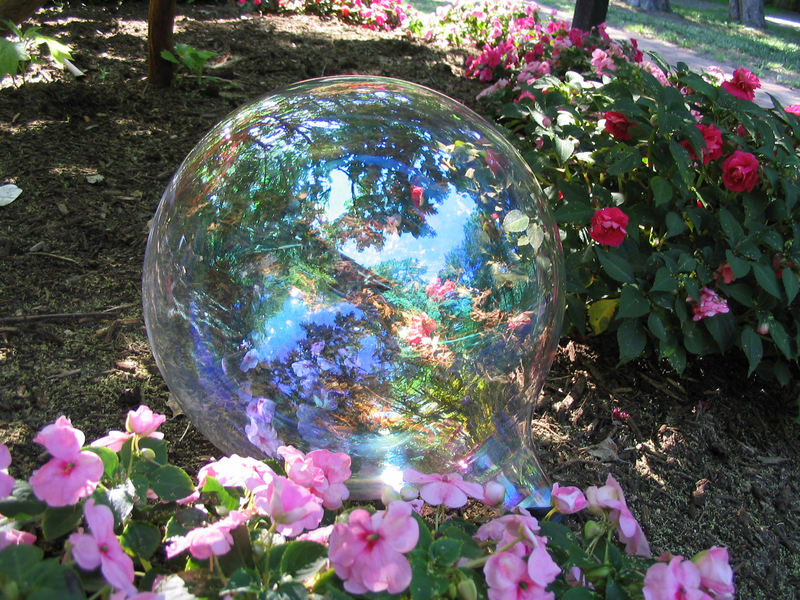 This is the 12" glass sphere that I use in my work. In 2005 I purchased a clear glass gazing ball as a gift for my husband. We installed it in the back corner of our yard. I was fascinated by the way the sphere reflected the environment, both distorting the landscape and splitting the light spectrum. I have been photographing with this ball ever since.